Emails will be sent to all users who have commented on the project whenever a new comment has been made. Additionally, the site administrator will receive emails when comments are made or projects are approved. You can adjust the email settings that the site administrator will receive. 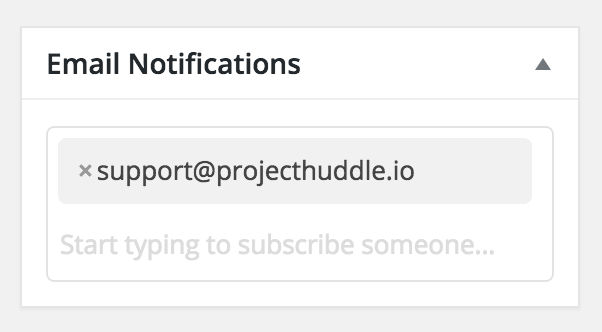 Tick this box if you'd like the admin on the site to receive emails when a new comment is made and when a project have been approved. Note: The admin email can be found or updated by visiting Settings > General and find E-mail Address part way down the page. The admin is also able to remove users from the email notification list of a project from the Edit Project page, All Projects > Your Project, found on the right side under Publish. Simply remove the user's email who would like to be removed from receiving notifications and save the project. 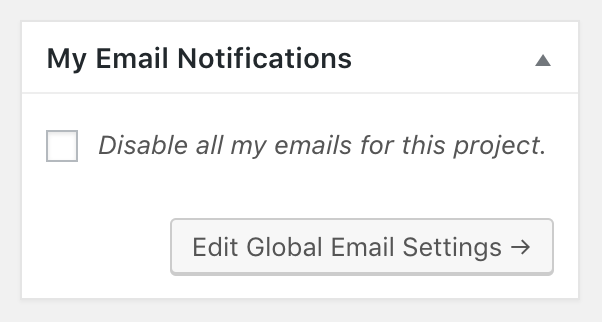 You can adjust ProjectHuddle's global email settings from the Edit Project page, All Projects > Your Project under My Email Notifications by following the link Global Email Settings or by visiting Users > Your Profile . 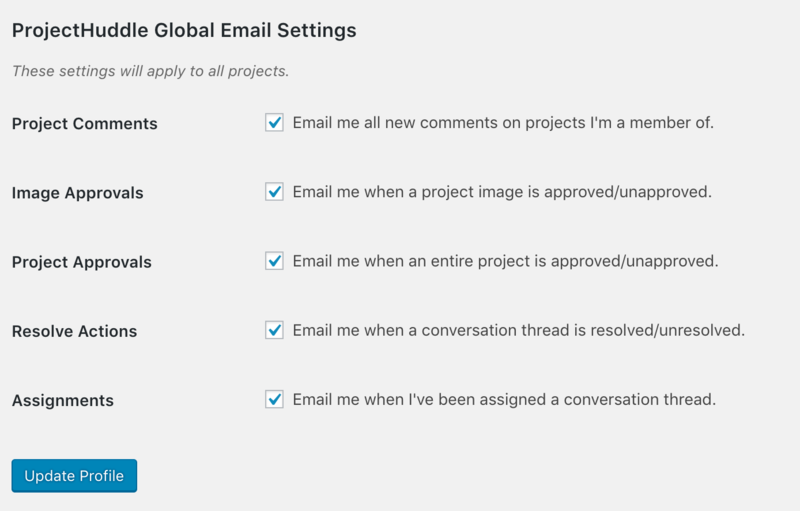 Below lists the global email settings for your profile, which apply to all projects. You can opt in or opt out of each settings by ticking to unticking the box and saving by clicking "Update Profile".